What a great weekend up here at Telemark. It was a busy day on Saturday and everyone was smiling including the “Snowmen”. With 10 cm of snow over the last couple of days conditions are at their best yet. Do your skis seem a little slow sometimes? Maybe its not just you. A good glide waxing can help make sure your skis are working their best and you get the most enjoyment out of your skiing. Leave your skis with us. We will glide wax them for you and you can pick them up when you come to ski next. 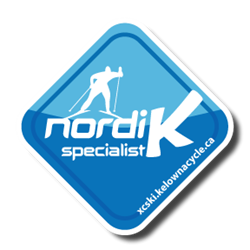 $15 for a classic ski wax and $20 for a Skate ski wax.